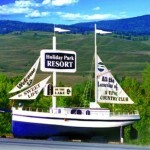 Ever driven along Highway 97 just north of Kelowna and wondered what a 70 ton sailing ship is doing on the side of the road? 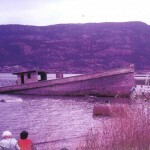 In 1903 the historic Orchard City II ran charters and worked for sawmills on Okanagan Lake. 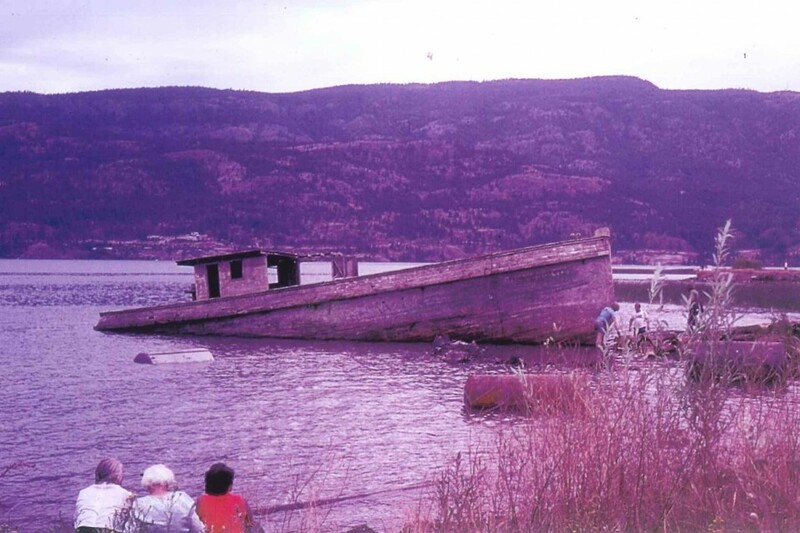 The boat sank during a storm in 1948 and remained at the bottom of the lake for 30 years. Salvaged and restored, it now serves as the famous landmark for Holiday Park Resort. Turn off the highway at the boat, come on in and discover the 'sweetlife'! 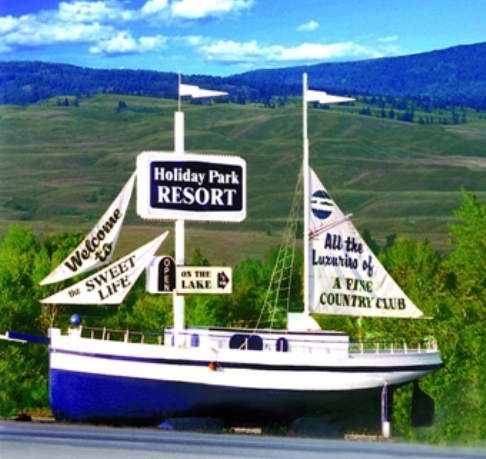 Founded in 1983 by Saul Sigal and Jody LaFontaine on the shores of Duck Lake just north of Kelowna, Holiday Park Resort has grown from an empty field to a year round destination for travelers, vacationers, retirees and permanent residents. Over the years the resort's more than 3,000 members have been joined by visitors from around the world. 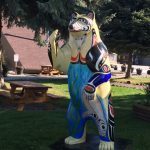 A 67 acre playland surrounded by championship golf courses, award winning wineries and 2 world class ski hills, Holiday Park includes 117 condos (leasehold & timeshare) and 570 RV sites (leasehold & rentals), all fully serviced and landscaped. The resort hosts a multitude of recreation facilities and amenities enjoyed by visitors and full time residents. 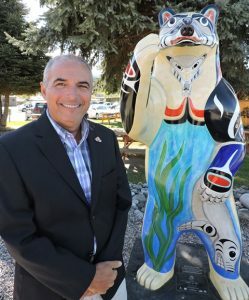 Holiday Park continues to be family owned and operated by Dan Sigal, Saul's youngest son, as Team Coach & President. The strong team of 60 full and part-time employees is dedicated to ensure that everyone who turns at the sail boat enjoys all the Resort has to offer. 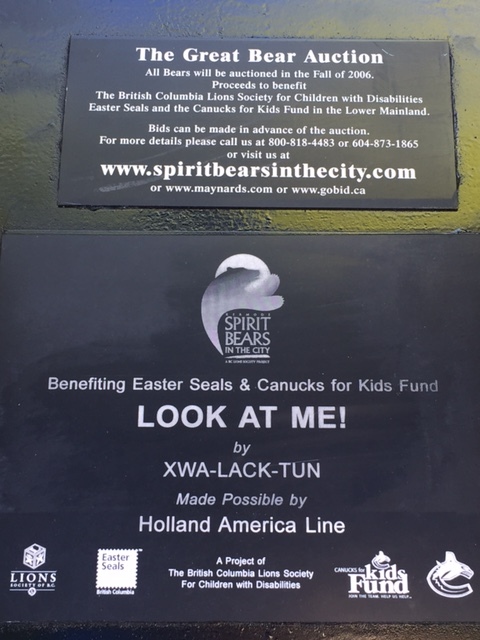 Click here to download and print free, no obligation Visitor Passes for yourself, family, friends, co-workers... We invite you to come in at your convenience and have a look at what we're all about. 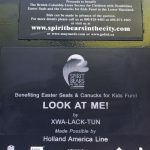 At the entrance gate, exchange your Visitor Pass for a Drive-thru Pass and sweetlife candy, browse through the resort and see all we have to offer. And we're pet friendly! Doggies on leash are welcome - we have treats for them too! 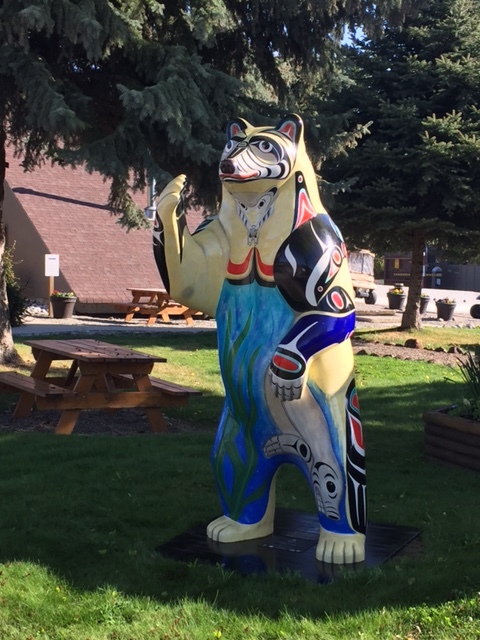 Holiday Park Resort has acquired one of the 200 Kermode (Spirit) bear sculptures created for a 2006 auction benefitting BC Lions Society for Children with Disabilities, Easter Seals and the Canucks for Kids Fund.